The Santa Fe pillow has a brother! 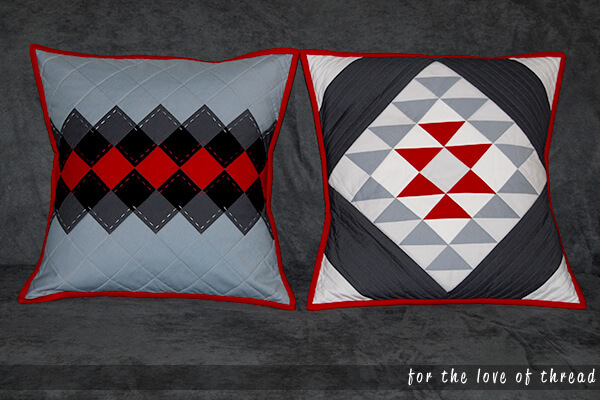 As I continue to update my living room design, I added another black, gray, and red pillow: the Dapper Argyle Pillow. Isn’t he cute?! 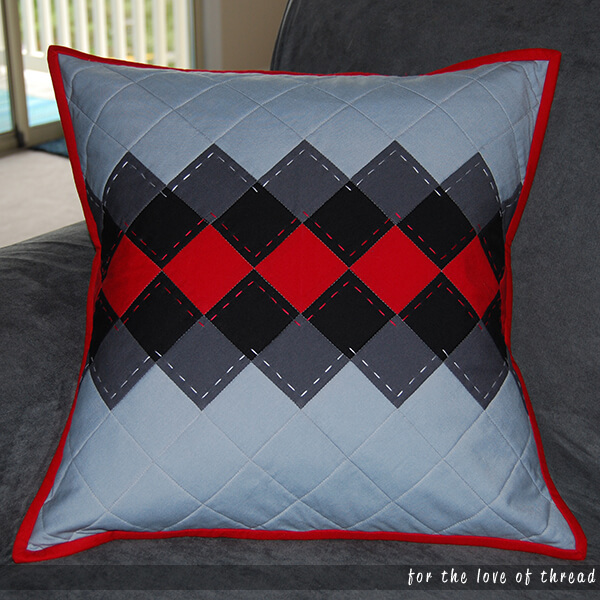 The Dapper Argyle Pillow in all his dapper-ness! I was at a guild meeting going through magazines other members had brought in to see if there was something that caught my eye. I saw this pattern, took a picture of the page (my table mate had already called dibs on taking the magazine home), and started drawing out what I thought would be the best way to put it together. Let’s just say it wouldn’t have killed me to have snapped a picture of some of the directions! But after a couple missed measurements, I had him all figured out and pieced together in just a couple hours. And then he sat on my sewing table for what seemed like an eternity. Isn’t that always the way it happens?! Between life getting in the way and other projects begging my attention, this quick little project ended up taking almost two months to complete! But now that he sits on the couch with Santa Fe, I’m so happy he’s finished. Twins! Dapper Argyle ended up being a lot darker than Santa Fe, so they’ll sit on opposite couches to give them a little breathing room. I’d like to make two more pillows for my living room, so I have an immediate opening in my circle of friends for someone who has patterns! Leave some links in the comments for me to check out. I promise not to take two whole months to finish what I start. Maybe. I am a quilter after all! 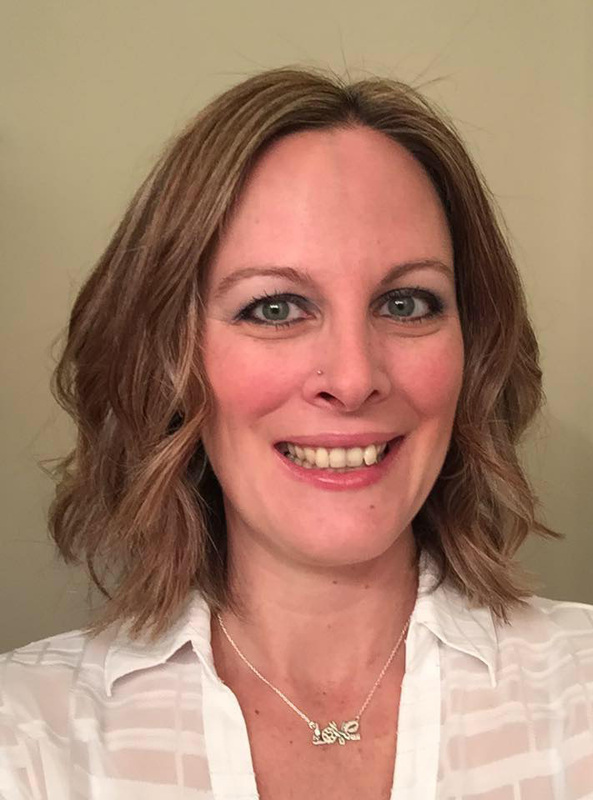 I'm Joni, a girl who loves to quilt. I put needle and thread to fabric every day. You should too! If you want to learn to quilt, you're in the right place. Questions? Send me a message.